China is at the very forefront at the global esports boom. It is also a nation with a rich gambling tradition, so combining the two pursuits is a no-brainer. 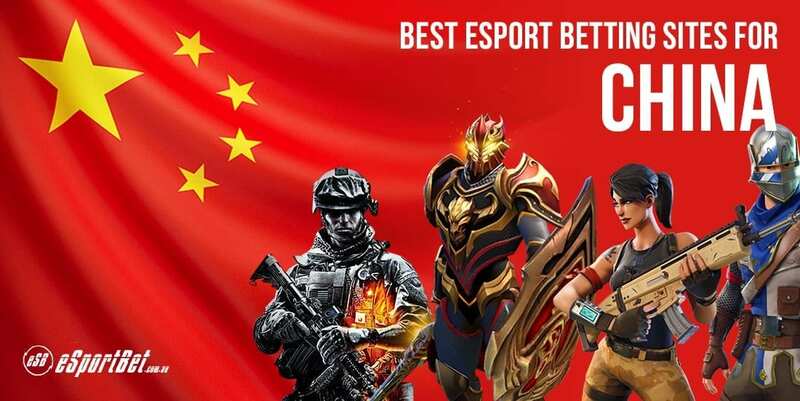 If you want to learn about China’s gambling laws and find out which online bookmakers lead the pack for esport betting, you are in the right place. With the exception of two state-run lotteries, all forms of gaming and wagering are illegal in China. The offshore Special Administrative Regions of Hong Kong and Macau are havens for sports betting, horse racing, slot machines, casino games and poker, but attempts to establish legitimate gambling venues on the mainland have amounted to nothing. What about online betting? China is notoriously strict when it comes to what its residents can and cannot do on the internet. A nationwide ban on all poker apps came into effect in June 2018, serving as a clear indicator of Beijing’s position on online gambling and wagering. However, we are talking about a country that boasts one of the world’s oldest and richest gambling cultures. That is not something that vanishes overnight because of a few legislative changes, which is why millions of Chinese punters have found ways to circumvent local laws and bet at licensed offshore bookmakers. Once you pick a bookie, signing up and getting started takes only a minute. We suggest joining multiple betting sites so you always enjoy the best odds when you bet on esports. Credit and debit cards – All online bookmakers accept instant deposits with Visa and MasterCard. Web wallets – Keep your personal details secure with trusted brands such as Neteller and Skrill. Instant banking – Services like Citadel Direct allow you to make instant payments from your bank account. Wire transfer – If you want to move large sums and don’t mind waiting a few days, standard banking is the way to go. Cryptocurrency – More and more online bookies are coming around to Bitcoin, Ethereum and other cryptocurrencies.